The Ogun State Police command has arrested a woman for allegedly defrauding a Christian faith-based organisation to the sum of N100m. 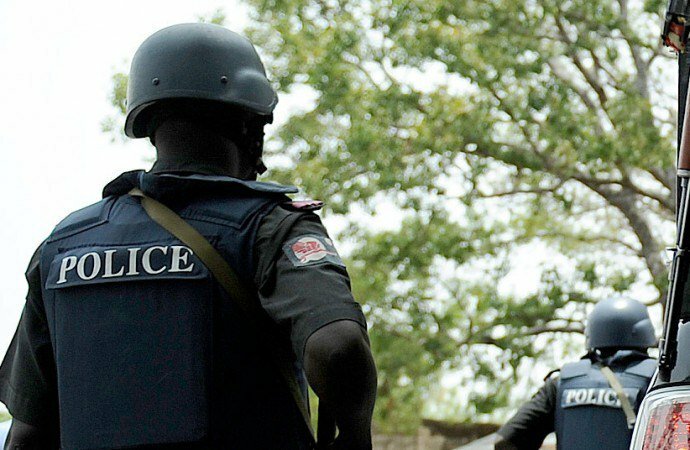 While parading the suspect on Sunday, Police spokesperson, Abimbola Oyeyemi told newsmen that the lady was arrested after a petition written by a Lagos-based lawyer of the organisation, Godswill Ojakovo, to the Ogun State Commissioner of Police, in which he complained that his client was defrauded by the suspect through an act of forgery. According to Oyeyemi, “the suspect claimed to have got a Local Purchase Order (LPO) from a property company and appealed to the organisation to help fund the LPO, consequent upon which a sum of N33.118m was transferred into to her bank account. “While the organisation was awaiting the repayment of the loan, the suspect came with another two LPOs she claimed to have got from a Catholic Hospital, Iju and a private school in Ikorodu, Lagos State, upon which another sum of N77m was given to her, after convincing the organisation with relevant documents and proofs to back her claims. “But as soon as the suspect got the last payment in September 2018, she was nowhere to be found, prompting the organisation to make inquiries about the LPOs she submitted before they discovered it was all forged. “Upon the petition, the Commissioner of Police Ogun State, Ahmed Iliyasu, directed his monitoring team to go after the suspect and bring her to book. The team technically tracked the suspect and got her arrested on January 21, 2019. “On interrogation, the suspect confessed to the crime by admitting that the LPOs presented by her were forged and some of the companies she claimed to be the owners of the LPOs, were made up by her. “Meanwhile, the CP has directed the monitoring team to arraign the suspect in court as soon as the investigations are concluded,” DSP Oyeyemi stated.